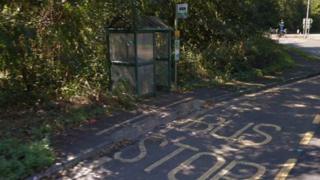 Elderly people in Hampshire with free bus passes could have to pay 50p each time they travel under plans being suggested by the county council. The authority is consulting on a range of cuts to supported passenger transport and concessionary travel. It said a 50p contribution would generate about £4m a year, which it could use to protect subsidised routes. The Campaign for Better Transport called the consultation "alarming". People have until Sunday to respond. Hampshire County Council said it had asked the government to amend the law to allow it to ask for the contribution towards journeys. But Steve Chambers, of the Campaign for Better Transport, said the government had already made it clear the concessionary bus pass was "sacrosanct" and it was "alarming to see a local council consulting on measures it has no ability to implement". Council leader Roy Perry said: "We are saying to the government, we think local people in Hampshire would rather pay 50p for a journey and keep the bus routes going than get them free, but find the council hasn't got enough money to subsidise those bus routes." According to the consultation document, the council's Economy, Transport and Environment Department needs to save £15.8m by April next year. Plans to scrap some bus routes and replace them with pre-booked services such as timetabled taxis are also being considered. Older person's bus pass holders who currently use the pre-booked Taxishare service free of charge would have to pay a single fare of up to £3.50 under the proposals. Mr Chambers said: "Buses across Hampshire are vital for the local economy and the environment. Losing vital bus services, especially in rural areas, will make it difficult for people to access jobs, education and other essential public services."